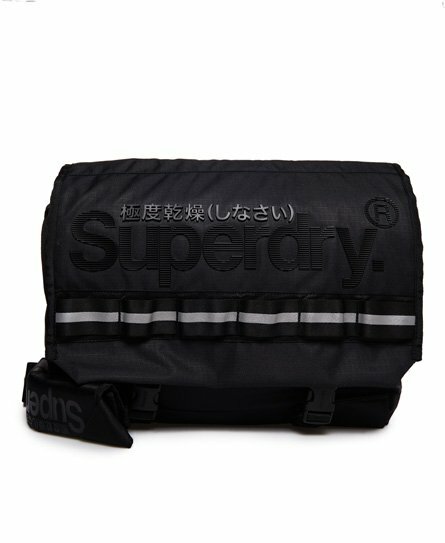 Superdry men’s Line Merchant messenger bag. A twist on the classic messenger bag, this bag features a padded inner laptop sleeve and multiple inner compartments with zip and clip fastening for added security. This versatile bag comes with a rear pocket and a branded padded over-the-shoulder strap. The bag is finished with a high-build Superdry logo on the front and a label window on the rear.